Sea of Thieves - The Bear and Badger - a better class of conversation. Shiver your timbers. Swab your poop and Deck your pieces of eight. Currently in development by Rare (thats right Rare are making a game!). 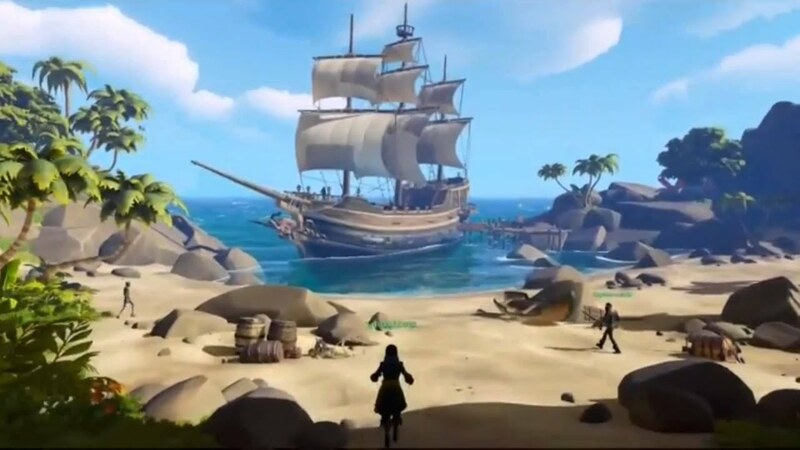 Sea of Thieves is a Pirate themed MMO with a gorgeous cartoon styling and enough pirate tropes to sink a galleon. 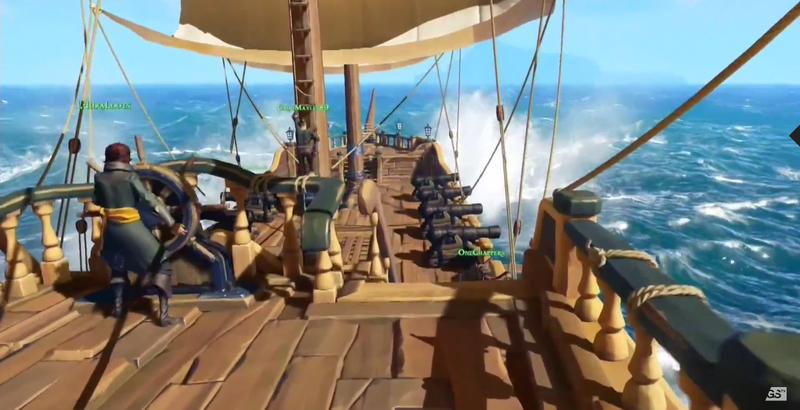 Sea of Thieves is a shared-world adventure game (or “SWAG,” as we’re fond of calling it here in the office). 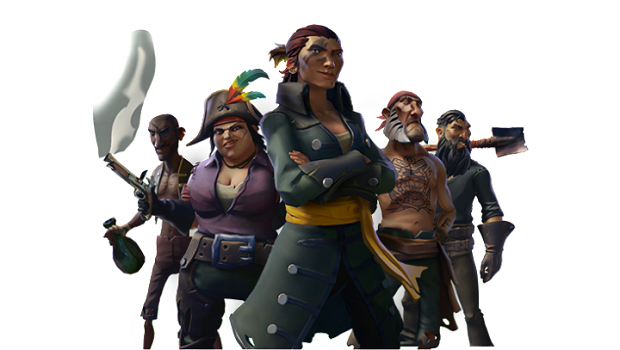 It’s a multiplayer game with crew co-operation at its core, and our ambition is to let players be the kind of pirates they want to be. Whether you’d like to hunt for legendary treasures, sail to the furthest island in the distance or hunt down rival crews, our ambition is to build a game that lets you pursue whichever adventure your salty heart desires. Really looking forward to this. It seemed to get some excitement here during E3 as well. I imagine the forum crew will be entirely incompetent. In real life or in the game? I can see a lot of hard work being undone, but it will be fun undoing it. I'm interested to see how crews work. Size limits, factions, how spawning will work etc. Would be good if we could get a couple of crews all sailing under the same banner. Hopefully it has a flag designing feature as well. Definitely keeping my eye on this but not sure as of yet. Hope they get success though for doing something different. Here and there. I imagine Windows 10/Xbox is getting fixed. Windows 10/Bone will no longer be cross-platform, they'll just be one big platform, across both sets of railway lines, letting no trains through. Yeah with Rare being an MS studio i suspect this will be a flag ship (pun intended) game for W10/Xbone cross play. Looks really nice. Would be great to see Rare back to developing meaningful games for a change. It is. As is Crackdown3. There's a list don't you know. Heaps and stacks of lists. Between now and 2017 we need to come up with a witty name for our crew. Good job we have time. I'll see you in 2017.